If you’ve never cared for the store-bought stuff or even most homemade versions, you’re not alone. But just wait until you’ve tried this ultimate homemade mincemeat – it’s a total game-changer! Whether you’ve never liked mincemeat or you’ve always loved it, prepare to either be converted or to fall more deeply in love! Few people today know the taste of true, authentic mincemeat, a dish dating back to the 11th century. And that explains why very few people I know actually truly enjoy mincemeat versus simply eating it out of tradition (or being forced to so as not to offend Grandma!). Sadly the authentic way of making mincemeat has been largely lost in the last century. And I say lost, not because it’s been erased completely, rather because mincemeat has changed so much, some of its most important elements having been left out, that it just barely resembles its original ancestor. 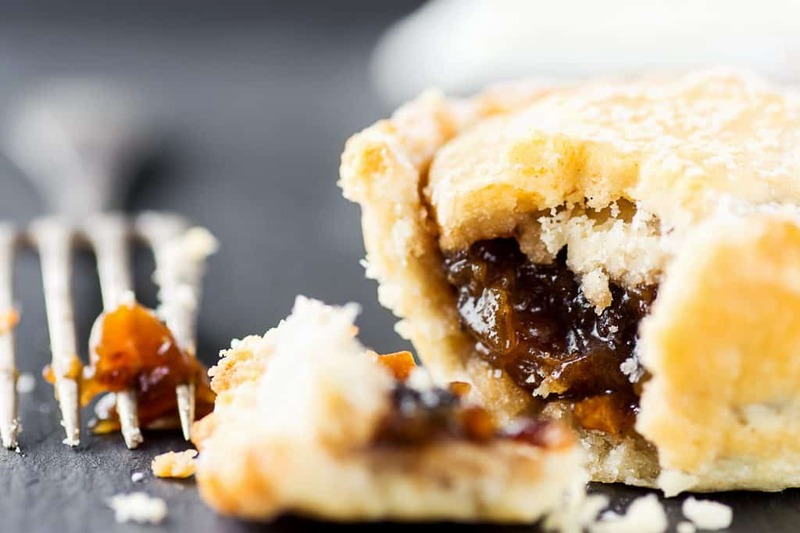 Of the many traditional British dishes that have undergone some form of alteration over the years, mincemeat has probably changed the most. That is largely due to the common omission of mincemeat’s two key ingredients: Meat (traditionally beef or lamb) and suet. Things like wartime rations on meat, British culinary tastes moving away from sweet-savory combinations, and shifting trends away from the traditional use of suet (read my article on why you should use suet and lard – in short, medical research confirms our ancestors were right after all!) contributed to the gradual moving away from the inclusion of meat and suet in mincemeat. The result of these changes is manifest in the tiny mince pies of today that are almost sickly sweet without the savory meat and suet to round out the flavors and also fairly flat and one-dimensional in flavor profile without the complexity of the savory ingredients. 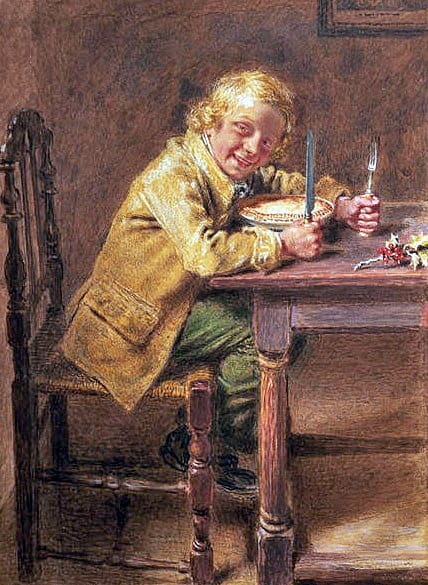 This beloved dish of both the common folk and royalty (savored by generations of kings who enjoyed mince pies during their coronations and at their stately tables) sadly has been reduced to something that is a mere vestige, a residue, of what it once was – the spirits of centuries ago hover over what is passed off today as mincemeat while clenching their fists and wailing in agony. Okay, that’s a little dramatic. 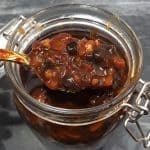 Many generations ago people would experience mincemeat as a robust and sweet-savory meat-based mixture that conjured up what seemed like a thousand flavor sensations. Pair that with the incomparable texture that suet contributes to pie crust as it’s baked with the mincemeat and it’s no wonder that mincemeat pie was a heralded favorite for many centuries in the United Kingdom and then made its way to become a tradition in Canada, Australia, New Zealand, Ireland, Northern Europe, South Africa, and the New England region of the U.S..
Mince pies are still considered an essential accompaniment to holiday dinners today. But to be truly “traditional”, mincemeat requires meat and suet. A note about SUGAR: Centuries ago mincemeat was far less sweet than it is today. Though it was made with fruits to add sweetness and to help preserve it (the fructose content), no sugar was added. Feel free to cut back on the brown sugar if you prefer. A note about MEAT: If you’re put off at the thought of adding meat to mincemeat like our ancestors did for centuries, think of it this way: Imagine a Moroccan tagine – a dish of beef or lamb that is slow cooked with dried fruit, nuts and a myriad of aromatic spices. It’s downright amazing. Mincemeat, which not surprisingly originates from the Crusaders bringing the spices and method back with them from the Middle East, is a very similar concept: Beef that is simmered with dried fruits, nuts and a wonderful host of spices. That doesn’t sound so bad, does it? The mincemeat is stored for a while (under a layer of fat, a centuries-old method of preservation) so the flavors can deepen, and then it’s baked in a flaky pie. Heaven. 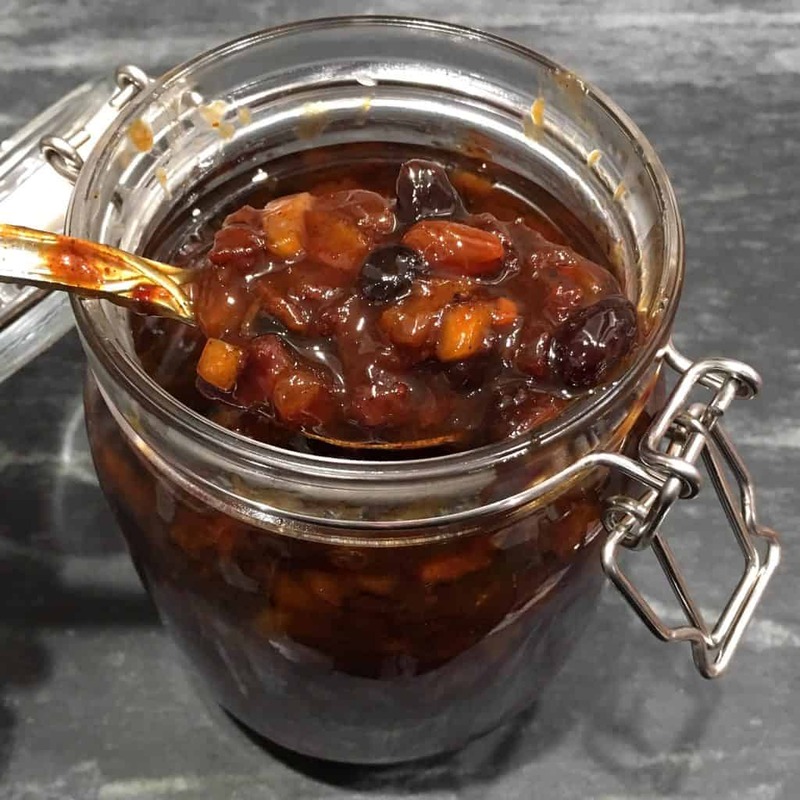 Another aspect that has always been off-putting to me about mincemeat is the overpowering flavor of the commercial candied citrus peel that’s called for in most recipes. It has a strong chemical-astringent flavor that many people dislike. For that reason I use and highly recommend making your own homemade candied citrus peel for this mincemeat. Trust me, the flavor is incomparable and puts the store-bought stuff to miserable shame. And good candied citrus peel gives mincemeat an incredible flavor boost. That said, if you don’t mind store-bought candied citrus peel and want to save yourself the effort, feel free to use it. 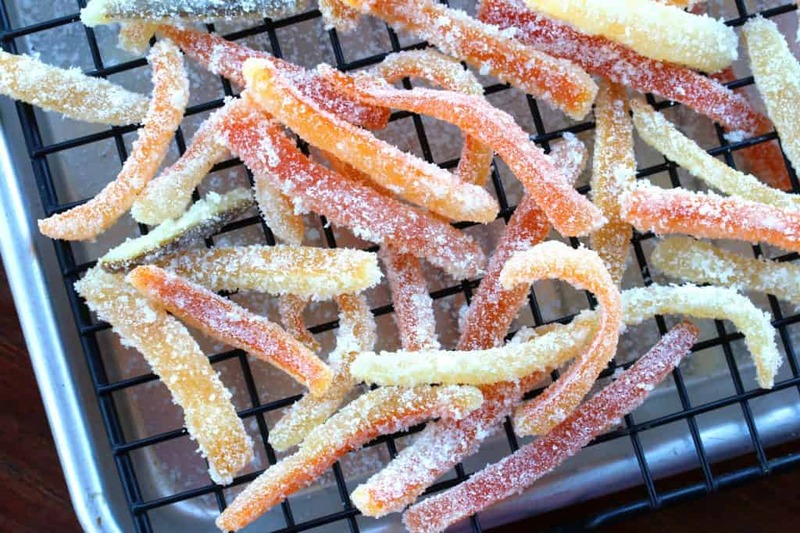 Check out our post on How To Make Candied Citrus Peel. A note about the SUET: While you “can” substitute butter (and even coconut oil, though that will greatly alter the flavor), I highly recommend suet for both flavor and texture, especially if you’re making mince pies. If you’ve ever made pie crust with suet you’ll understand – the end result is flaky and flavorful perfection unlike anything else. When you’re baking your mince pies the suet will bake into the pie crust enhancing texture and flavor. I usually make my own suet when I have access to some kidney fat from locally-raised, grass-fed cows. 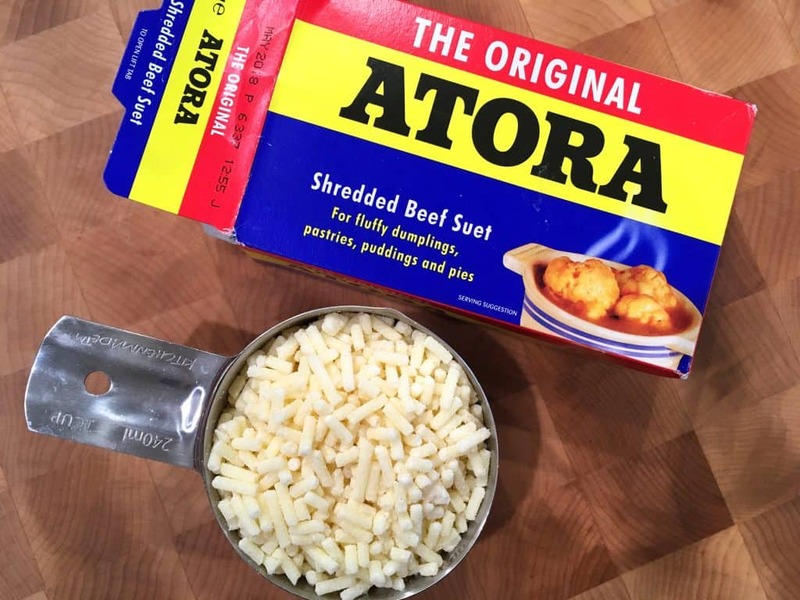 But for a store-bought option I recommend Atora Shredded Beef Suet from England and a household name since 1893. Refrigerator: If you omit the meat it will last for up to a year in clean sterilized jars (some keep it several years in the back of the fridge). The layer of fat on top seals off the mincemeat from any air which results in food deterioration. This is a method of preserving that’s been used for many centuries. If you include the meat it will safely last in your fridge for up to 2 weeks. Freezer: Either with or without meat, mincemeat can be frozen in airtight containers or in ziplock bags for up to 6 months. Recommended process time for a dial-gauge pressure canner. Combine all of the ingredients, except for the brandy and/or rum in a medium-sized pot. I’m using my 3-quart 7-ply American Clad sauce pan from Hammerstahl. Check out my full review here. If you’re adding meat, which I highly recommend, you’ll add that at the same time. Bring it to a boil and then reduce the heat to low and simmer uncovered for 2 hours, stirring occasionally. At the end, stir in the brandy and/or rum. Note: If you prefer to have the alcohol cooked out, add it at the same time as the other ingredients (note, the flavor of the brandy/rum will be less pronounced). Pour the hot mincemeat into sterilized jars. Let the jars cools. The liquid suet on top will gradually harden into a protective layer which will enable you to safely store your mincemeat. **For instructions on different methods for storing your mincemeat, including how to can it for long-term storage, see the blog post section above on Preserving. 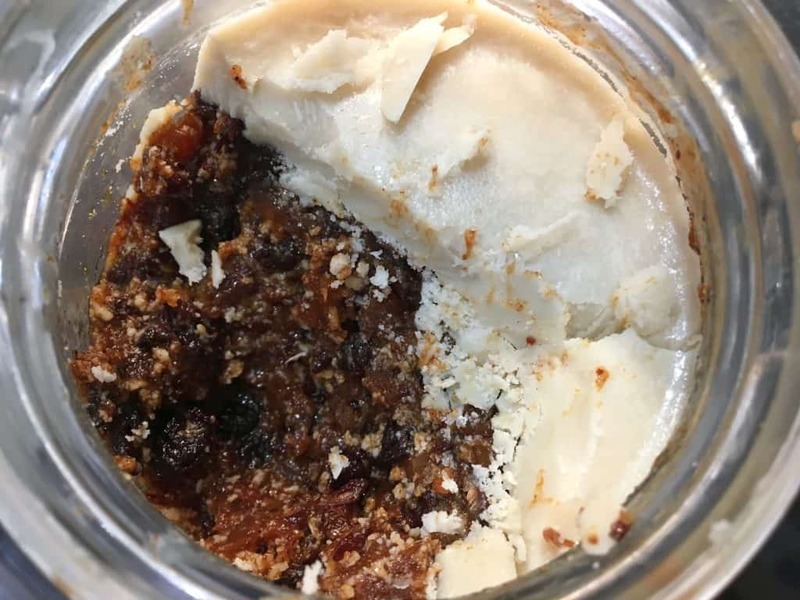 This mincemeat is delicious used immediately but for optimal flavor let it sit in the refrigerator for 1-2 weeks before using. Or create your own twists by using it for mincemeat cake or muffins! Few people today know what REAL mincemeat should taste like, today's version paling in comparison to the mincemeat that has been a household tradition for centuries. Give this traditional version a try and even if you've always hated mincemeat this may just be the one to convert you! Spoon the hot mincemeat into sterilized jars. As the mixture cools the suet will harden, creating a seal to help preserve the mincemeat. NOTE: See blog post for different ways to preserve the mincemeat, including refrigerating, freezing and canning for long-term storage. Makes about 1 quart. Feel free to double, triple, etc, as needed. 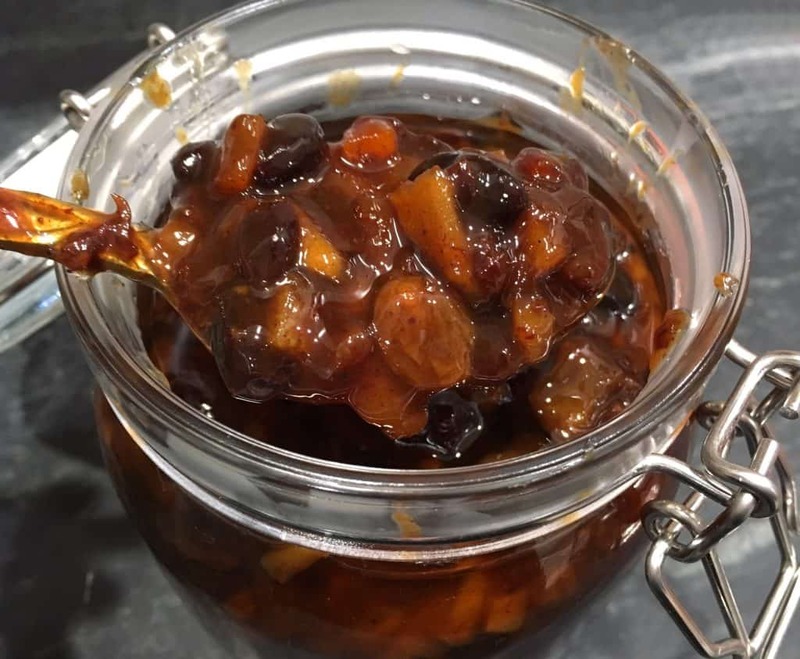 Note: Mincemeat is traditionally stored for several months before using to allow time for the flavors to deepen, however this mincemeat is also delicious eaten within just a few days. 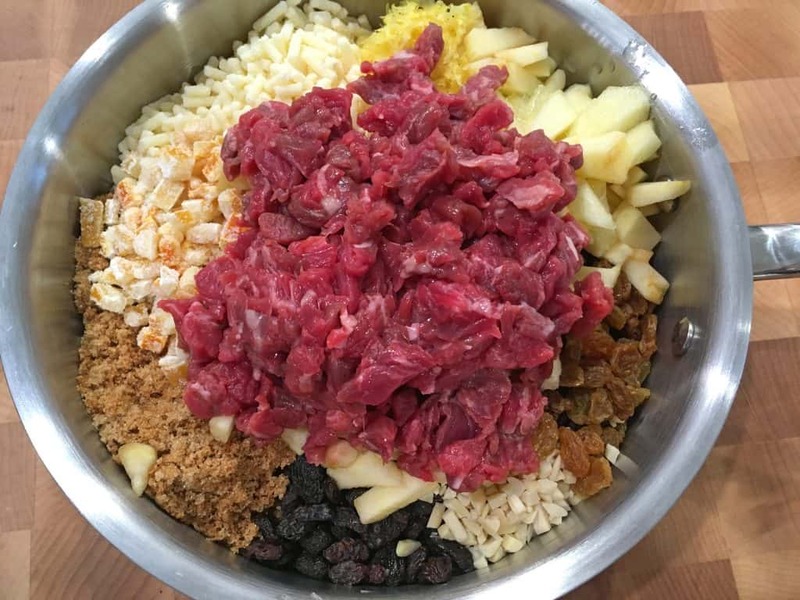 Note: Another common way to make mincemeat is to skip the cooking process and to pack the raw mixture directly into sterilized jars and store in the fridge for at least 2 days and up to 2 weeks (be sure to use the freshest meat) and then to cook the mixture directly into the pies. If you're planning on storing the mincemeat for a longer period of time, follow the instructions for cooking it. My preference is to cook the mixture either way because it brings out the flavors of the ingredients, releasing the oils of the spices and melding the flavor together. have never used cinnamon or coriander. I will have to try that. Could you tell me please how much a cup is in grammes? Hi, I’ve just added the metric measurements. Happy cooking! is that nutrion info based on a single serving, what size, or the total recipe? Hi Frank, the nutrition info is for the entire batch of mincemeat but to make it easier I’ve just updated it to show the info per tablespoon. I love how you really break everything down when it comes to mincemeat and the origins. Such a holiday tradition for many! My grandma used to make mincemeat pies every Christmas, but I haven’t had it since then. This brings back some delicious memories! Sounds delicious. My workmate made wonderful homemade mincemeat pies. I won’t eat store bought ones. Could this be done in the slow cooker? I’m keen to give this recipe a try. Hi Suzanne, yes it could be done in the slow cooker and just leave the lid open. 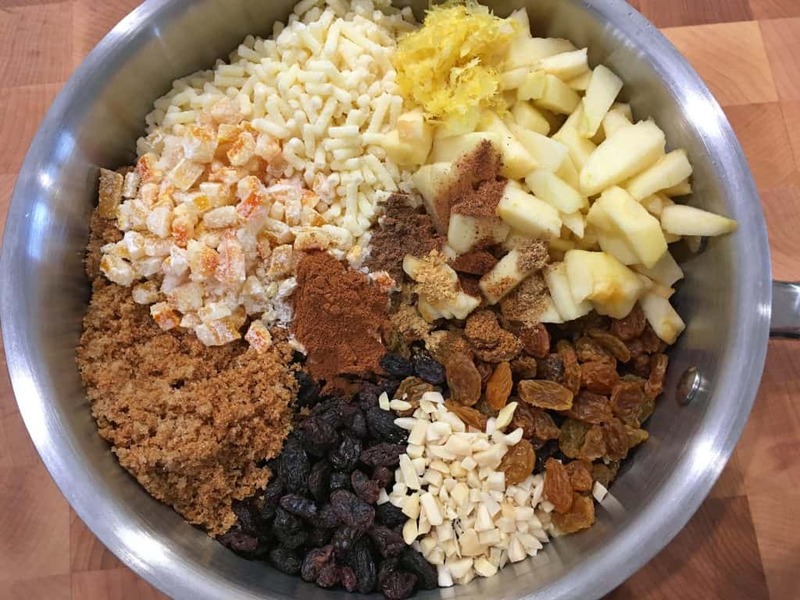 I’ve never made mincemeat before… that needs to change! I’ve just realised why this recipe isn’t right. Mincemeat doesn’t need cooking – not even with meat in it. Mrs Beeton didn’t cook mincemeat. The suet stays in bits throughout the mixture, it only melts when the mince pies are baked. The meat does not deteriorate, it’s preserved in the alcohol there’s no danger! Hi Mary, thank you for your insights. Yes, raw-pack is also a common version but the raw meat version does not keep for an extended period of time, if that’s the goal. If raw meat is added without cooking the mixture, it is generally refrigerated for a few days or up to 2 weeks and then cooked in the pies. Even Mrs. Beeton’s instructions are to store it for 2 weeks only. If one’s intention is to keep it stored for longer, the meat must be cooked. It’s a similar concept as British potted beef or French Rillettes where the meat is cooked and then preserved under a layer of fat. Raw meat cannot be safely preserved long-term, it has to either be cooked and stored under the fat layer, salted, dry-cured or dehydrated. The issue of short-term versus long-term storage aside, the other advantage of cooking the mixture is that it brings out the flavors of the ingredients, releasing the oils of the spices and melding the flavors together. 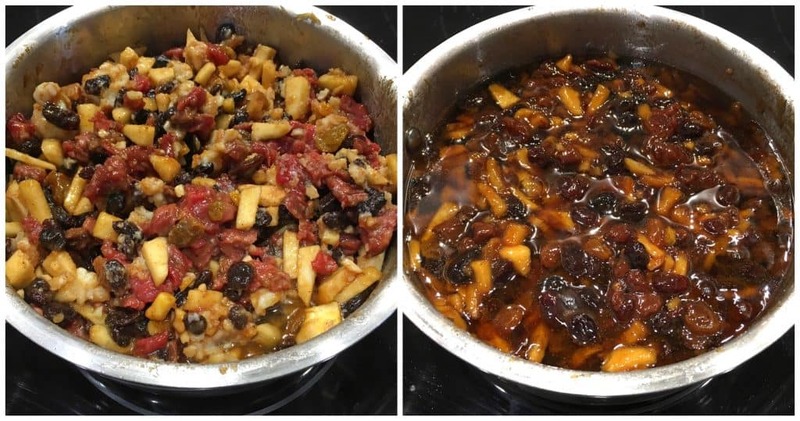 So even if the plan is to use the mincemeat within a few days after making it, my preference is still to cook it for the reasons I just mentioned – it really enhances the flavor. Again though, there’s not right or wrong on that point, just personal preference. I have to try this recipe out! It looks so good! You’ve turned me into a believer!! :) I made this yesterday and oh my gosh, the SMELL!! My home smelled heavenly as it was simmering and it tastes amazing, I can’t wait to put it to use this Sunday when I make the pies for Christmas Eve! Thank you for this wonderful recipe! Yes, I MUST try the real deal! Thanks for such a comprehensive post. The comparison to a Moroccan tagine was brilliant—now I know I’ll enjoy it! What about plum pudding…and hard sauce ? This is SO awesome. My Dad made homemade mincemeat every year. He did not cook or bake often but when he did it was magical. This brings back so many memories for me. This is awesome!! I love all your tips too! I’ve never had mincemeat. Positively delicious, Kimberly! I made this two days in advance before making mince pies on Christmas. The flavor is outstanding and everyone requested seconds of the mince pies! Wonderful, Elise, thanks so much! Absolutely phenomenal! I made this recipe followed by your recipe for mince pies and they were amazing, everyone loved them! Thank you! Fantastic, Tammy, I’m so happy to hear that, thank you! This looks great! When making pie, do you discard the suet that has risen to the top or stir it back into the mincemeat mix? Hi April, I stir it back in for the texture and flavor. And if you’re storing the mincemeat long-term you’ll definitely want to keep that top layer intact because it acts as a protective barrier from spoilage. When I made this yesterday there was not really any liquid in the mix, not dry, but not soupy at all as in your images. The cooled in the jar stage there are bits of white suet spread throughout, no liquid to raise it to the surface. I followed the instructions completely, and used fresh cut suet and diced a top round steak to bits around the same size as the raisins. Am I missing something perhaps? Hi Matthew, it sounds like you did everything right. The liquid may vary when you’re using fresh suet. To cap off the mincemeat, you can simply melt some more fat or some butter and pour it on top. Should there be water or some other liquid added to this recipe? It says to bring to a boil and simmer, but I only see very minimal liquid. Hi Carol, the suet and sugar will liquify as it heats, no other liquid is added. Carol – My question exactly. Thank you. Kimberly – what about dried apricots, figs, dates, or cherries? I’m sure adding them would be fine, but are they historically accurate? I can’t wait to make this! Hi Gregory, I have seen some very old recipes that included dates and prunes but I’m not familiar with any that included apricots, figs or cherries. You can certainly customize it to your own preferences though. I hope you enjoy it, happy cooking! Hi Paul, you can if you must, but they’re two different fats: Leaf lard is kidney fat from pork and suet is kidney fat from beef. Suet has a different flavor, melting point and texture and really is the best choice for mincemeat and mince pies. If you have a local butcher they should be able to get some suet for you (make sure to tell them it’s the kidney fat you want) and they should even be able to grind/shred it for you and sell it to you fairly inexpensively. If I should substitute butter for the suet how much should I use? Hi Brenda, the same amount, 200 grams. The BEST mincemeat!!!! I made this last year and just made another double batch for this year. I also used your recipe for mince pies last year and I’ve never seen anything disappear so quickly. My family insisted I make more this year :) Thank you for this wonderful, wonderful recipe! Fantastic, Natalie, thanks so much for the feedback! Hi, thank you for this recipe! I am very excited to try it! If making the mincemeat pies, can you cook and use the mincemeat the same day? Or is there a minimum amount of days it needs to sit before using? Hi Laura, yes you can use it immediately and it tastes fantastic, but it’s always recommended to let the flavors meld for at least a few days if possible. Hi, thanks for this recipe. I would like to know if it would be ok to use light brown sugar. I don’t seem to be able to find dark here in France. Hi Trevor, absolutely, light brown is perfectly fine. Happy cooking! my mom and grandmothers and great gmas used an old fashioned apple called laura reds. cantfind them, what do you suggest? Hi Stephanie, any variety that’s on the tart side will do perfectly. I just made another batch this past weekend and used Granny Smith. I’ve always used my British great great grandmother’s recipe, so that’s early 1800s. As she was a strict teetotaler, the recipe calls for more lemon juice instead of the liquor, and is absolutely fabulous too. Hers also does not call for meat, but I can see that this would be a delicious option. Makes me think in terms of adapting the French Canadian tourtiere to use the fruit and spices as well as that traditional meat mix. I would think it will work – I’ll let you know if you like. Have you done a traditional tourtiere recipe? Very much a Christmas thing. Hi Veronica, old family recipes are such treasures. Your idea for the tourtiere reminds me of South African Bobotie: https://www.daringgourmet.com/bobotie-south-african-meatloaf-casserole/. Some significant differences of course, but the combination of meat, dried fruits and spices is absolutely delicious. So I can see this being a wonderful addition to the tourtiere. I may have to give that a go myself! Yes, I’d love to hear how your adaptation goes once you’ve tried it – happy cooking! I’ve had mincemeat in my garage for two years. Is it still good? Brandy still smells good! Hi Lucille, is it with or without meat? If it’s without meat and the seal is still airtight, I would have no problem eating it. If it’s with meat…I probably wouldn’t risk it myself. Hello from Central Australia! I’ve cooked a number of recipes from your site (every one delicious) and just ran across this one for authentic mince meat. One question: Do you have a preferred cut of beef you recommend? Thanks so much, Roger, and greetings to Central Australia! For the beef I use whatever I happen to have on hand – but generally I use a lean cut of beef. Even so, you can get away with a more marbled cut also because of the long, slow simmer time. Could you use a pressure cooker ( Instant pot) to do the cooking and preserving in canning jars? Made your lovely recipe today! Did do a sight variation by using our homemade dried apples along with the regular tart apples. We also used oak smoked dried apples to impart a wood cooked flavor to the pie. And the meat used elk… So delicious! Thank you for the recipe! That sounds absolutely terrific, Brian, I love the sound of those oak smoked dried apples! I’m so glad you enjoyed it, thank you! Strange question! What kind of pie crust would work well with mincemeat? Looking forward to trying the receipe! Hi, if my butcher will sell me kidney fat, do I just render it to make my own suet? They kind on Amazon will not be here til after Christmas. Thanks! Found out my butcher does have it 😊 If making my own, what would 200gms suet convert to in cups/tbs? Awesome, Cassandra! I don’t know what it is in cups but it’s 7 ounces and that’s what you’ll need for this recipe. If you end up using more than that, no problem whatsoever, it will float to the top and just create a thicker seal. Put leaf lard in a food processor and pulse until it’s finely shredded (see the pics of the Atora shredded suet in the blog post) and proceed with the recipe as written. Okay, last question, I promise. My butcher has both beef and pork. What would be your preference? Thanks! No problem! You’ll need beef kidney fat for the mincemeat. Suet is beef. Lard is pork. So ask for beef kidney fat (also called beef leaf lard). Hi Cassandra, no, it doesn’t really smell life beef. The smell should be fairly mild and fresh, definitely shouldn’t smell gross. It needs to be used or frozen within 2 days (or sooner depending on how long it was sitting at the butchers) as it will develop mold very quickly. If there’s mold you’ll notice tiny black furry spots. They start out small and in just a few places and then grow like wildfire. Well, if it’s a hay or barn smell then it’s probably just fine, lol :) When it’s bad it really smells bad – kind of a putrid sour. If it’s been frozen and you rendered it then it should be perfectly fine. Hi, can I used vegetable suet instead of the beef suet? Sorry if that’s a dumb question, I’ve never used suet before and so far the vegetable kind is all I’ve been able to find and get ahold of before Christmas. I went to three butchers nearby and two of them didn’t know what suet was and the other just gave me a bag of regular animal fat. Oh, those butchers (*eye roll*). Next time make it simpler for them and tell them you need beef kidney fat, also called leaf fat. It’s the fat around the beef’s kidneys. Most well-equipped butchers should even be able to shred it for you. Yes, you can use vegetable suet. Great recipe! Very excited to try. Simmering sugar for 2 hours is INSANE. It’s a guaranteed way to burn everything. Put it in the oven! That’s why the instructions say to simmer it over very low temperature. If you do that and give it an occasional stir it won’t burn. I’m really looking forward to making this! Do you have a type/brand of brandy and rum that you recommend? Hi Josiah, I’m no booze expert so I’m not the best person to ask for recommendations. I’ve used Bacardi Oakheart and Captain Morgan on different batches of mincemeat and was happy with both. So excited to try this! Picked up suet from my butcher today. He stressed two or three times that “this isn’t rendered” and it looks like a block of fat. Do I need to render the suet first? Or just shred it and add it? Awesome, Scott, just shred and add! So if I store this for a few days and the suetbrises to the top, do I stir it up when before I put it in the pie? Hi Ruellene, yes, just give it a stir. It doesn’t have to be thoroughly mixed. The suet will be very hard out of the fridge so let it come to room temp. 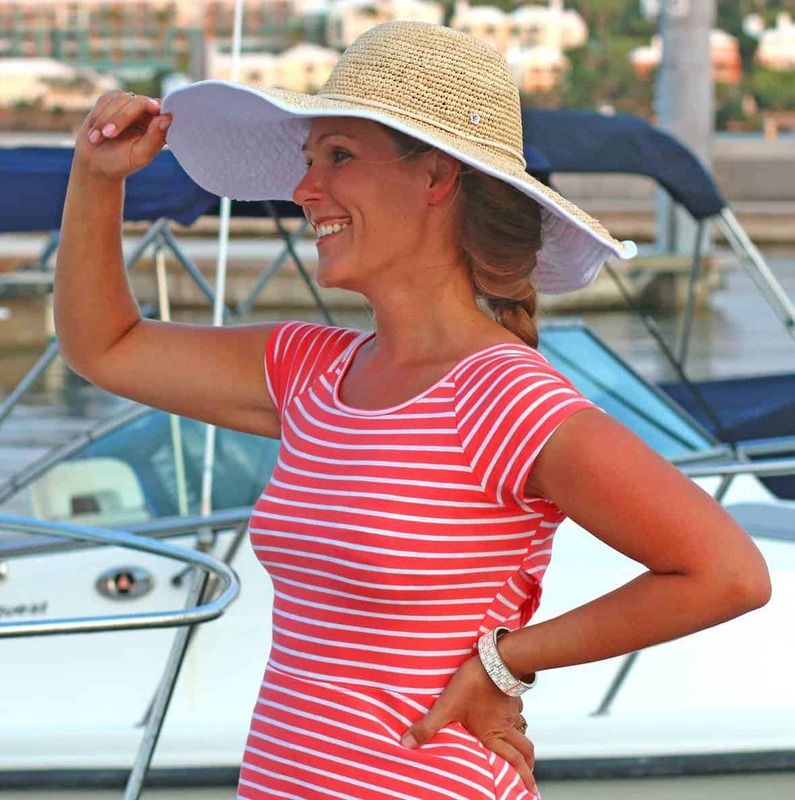 Wonderful, Reinette, thanks so much for the feedback! If you are using suet, it should NOT be rendered! It is no longer considered suet then, and the flavor changes. Just chop it by hand or in food processor or run through grinder and use raw. I have made mince meat for years now with suet. When I was in MN., it was easy to find, but here in NW, not so much. It really does make a difference in flavor. I made mincemeat without the suet one year because it was just not to be found, but it always tasted like something was missing. There really is no comparison between homemade and bought mincemeat! With meat or without, the flavor of homemade is so much different and BETTER! I made this mincemeat and followed the directions exactly – even made my own candied citron. It is beautiful and definitely the best I ever tasted. My husband can’t get enough and says he never tasted anything that delicious. My problem is that after I packed it and cooled it; I didn’t get the layer of suet as shown in the recipe. Should I be concerned? Wonderful, BarBara, I’m so happy to hear that, thank you! The layer of suet on top is only necessary if you’re going to store it for a very long time. Without that layer it should be fine for several weeks in the fridge (especially if you made it without beef) – just keep an eye open for mold. As an extra precaution though you could melt another layer of fat over top (e.g. lard, suet or butter).